Computer security has become a critical business concern, and, as such, the responsibility of all IT professionals. In this groundbreaking book, a security expert with AT&T Business's renowned Network Services organization explores system security architecture from a software engineering perspective. He explains why strong security must be a guiding principle of the development process and identifies a common set of features found in most security products, explaining how they can and should impact the development cycle. The book also offers in-depth discussions of security technologies, cryptography, database security, application and operating system security, and more. 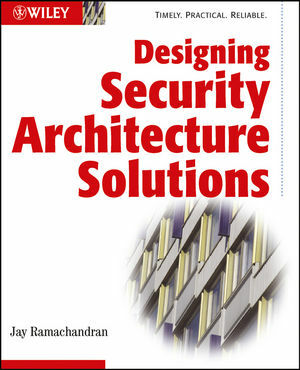 JAY RAMACHANDRAN is a certified architect and security expert at AT&T, involved in enterprise security architecture and development. Over the past eight years, he has developed software and evaluated tools for security assurance, auditing, and management for many mission-critical network systems. He coordinated architecture reviews for operations support systems for AT&T's core network for two years, and currently teaches workshops on systems architecture and network security. Jay holds a PhD from Ohio State University. PART I: ARCHITECTURE AND SECURITY. Chapter 3. Security Architecture Basics. Chapter 4. Architecture Patterns in Security. Chapter 11. Application and OS Security. Chapter 14. Security and Other Architectural Goals. Chapter 15. Enterprise Security Architecture. PART V: BUSINESS CASES AND SECURITY. Chapter 16. Building Business Cases for Security.